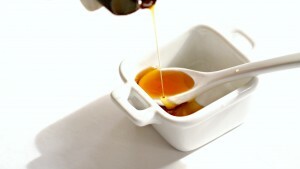 Maple syrup is made from the sap of maple trees, this is the sticky fluid that leaks from the trees. 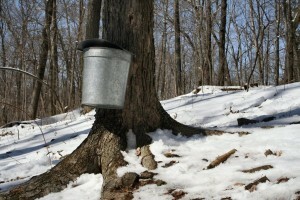 A hole is drilled in maple trees and the sap leaks out and is collected in containers. 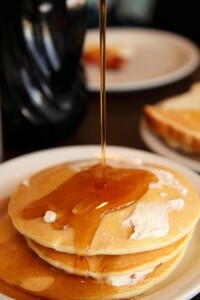 It takes 40 liters of sap to make 1 liter of syrup. 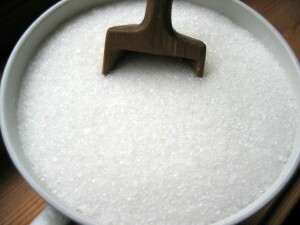 The syrupy liquid is boiled until most of the water evaporates forming a thick syrup, which is filtered to remove impurities.